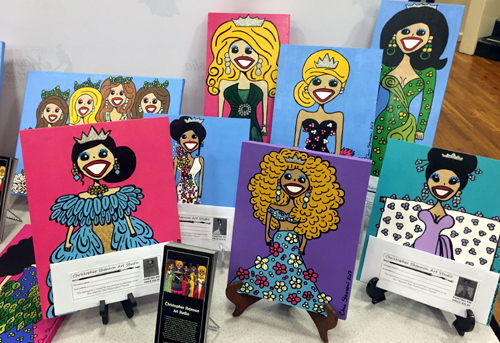 Christopher Shannon is a Mississippi Artist that specializes in Pageant Caricature Paintings. He has been creating his special pageant drawings since childhood. 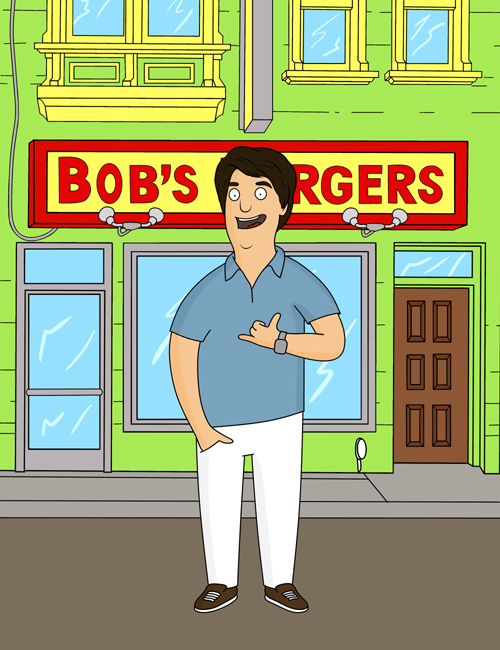 He has always had a love of drawing and painting as a fun hobby. 2017 marks the first year he has started painting for the public and created the Miss Magnolia State Painted Queen Pageant. 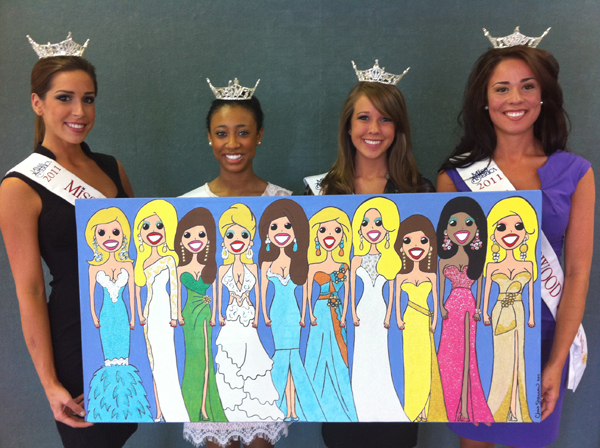 The Miss Magnolia State Painted Queen Pageant is a pageant that was created for his paintings and their owners. 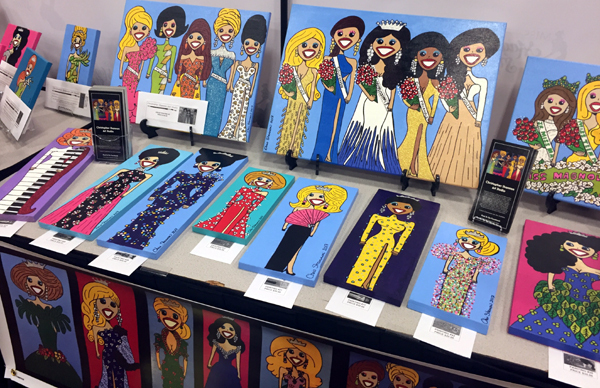 After each set of 30 pageant paintings are created and sold, they compete in a real life online pageant competition with real life judges. The owners of the paintings get the thrill of competition to see if their painting is chosen as the winner. Paintings are always priced affordably. Shannon as had a lifetime career in the pageant industry serving as the State Director of the Miss Magnolia State Pageant for 20 years and former Local Executive Director in both the Miss America and Miss USA Pageant Organizations for a total of 10 years. He has also been the State Director for Miss Mississippi, Alabama and Louisiana Teen America Pageant, Mrs. Mississippi United States Pageant, and National Director for the America's US Pageant. "I've always used my art to express myself," Christopher Shannon. Above left, my Halloween Costume I created. Top Center, out in Los Angeles, CA trying out for the Price is Right Game Show. 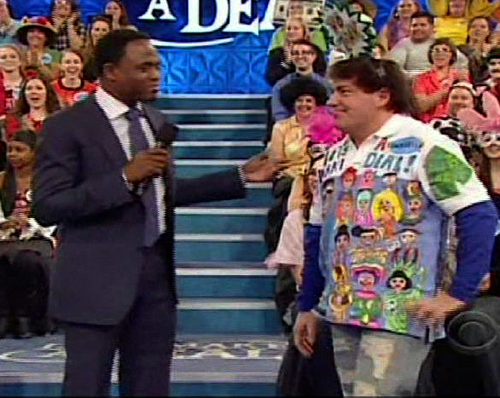 Right photos, costume for Let's Make a Deal and being selected for the show with host Wayne Brady. As a teenager, I created a drawing of all 51 contestants at the Miss America Pageant in 1988-1989. They all signed the drawing on the back and returned it to me. money for their Scholarship Fund.